March 1, 2016 – MIIT System Design & Management (SDM) program has announced an expansion of Naomi Gutierrez’s role within the program. Prior to joining MIT, Gutierrez served as a program coordinator for the Psychology Department at Boston’s Suffolk University. She holds an MA in classics from Rutgers University. This entry was posted in News on March 3, 2016 by Erik Ferris. The value of the architecture of a system is increasingly recognized across diverse arenas, from power grids to mobile payment systems. As the “DNA” of a system, system architecture provides the basis for competitive advantage, so it’s no surprise that more than 100,000 professionals hold the title of system architect today, and many more are practicing that role under different titles. However, leveraging the role of the architect it to fullest advantage can be challenging. the analysis and methodologies of system architecture. Dr. Cameron will draw from the recently published System Architecture: Strategy and Product Development for Complex Systems, which he co-authored with MIT Professor Edward Crawley and Cornell Prof. Daniel Selva. Bruce Cameron, Ph.D. is the Director of the System Architecture Lab at MIT, and a founder of consulting firm Technology Strategy Partners. He is currently part of the faculty team in MIT SDM’s core course and teaches system architecture and technology strategy at the MIT Sloan School of Management and School of Engineering. Previously, Dr. Cameron oversaw the MIT Commonality Study, which comprised over 30 firms and spanned eight years. Previously, Dr. Cameron worked in high tech and banking, where he built advanced analytics for managing complex development programs. Earlier in his career, he was a system engineer at MDA Space Systems and built hardware that is currently in orbit. 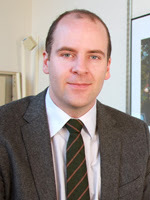 Dr. Cameron received his undergraduate degree from the University of Toronto and S.M. and Ph.D. from MIT. He has authored 20 publications and supervised 30 graduate students. The MIT System Design and Management Program Systems Thinking Webinar Series features research conducted by SDM faculty, alumni, students, and industry partners. The series is designed to disseminate information on how to employ systems thinking to address engineering, management, and socio-political components of complex challenges. This entry was posted in Webinar on May 4, 2015 by Erik Ferris.